No one markets your home better. Blue Steel Real Estate has an unmatched marketing engine, blending cutting-edge online marketing techniques and best-in-class traditional marketing methods. Our innovative Home Selling System was developed to provide our clients with a consistent and proven method to prepare their homes for sale, price their homes appropriately, and get the word out to as many buyers as possible. See why we’ve earned a 5-star rating on Zillow! Before listing your home, you want to consult with experts to find out if certain changes or preparations will make a drastic difference in the selling price and marketability of your home. We sell many more homes than most agents and have inside expertise when it comes to making the right modifications prior to selling. We may also be able to connect you with discounted materials and great contractors. Properly pricing a home is critical to maximizing the sales price. Pricing is very complex and nuanced. Pricing too high or too low will cost you, as the seller, money. The right price often generates competing offers and drives up the final sale value. We will identify target prices for you up front, leveraging our extensive market experience and years of providing professional price opinions to financial institutions.  Entered into Greater Denver Area Multiple Listing Service (MLS)–important! 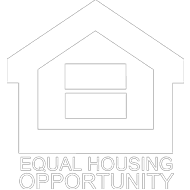 Most NOCO agents do not have access to this system, missing out on the many people moving to Northern Colorado. Browse our Blue Steel Active Listings and our Blue Steel Solds to get a live sample of our actual listings. Selling your home can be emotional and one of the highest-dollar transactions most people do. We understand providing human-focused, expert guidance through the process is critical.